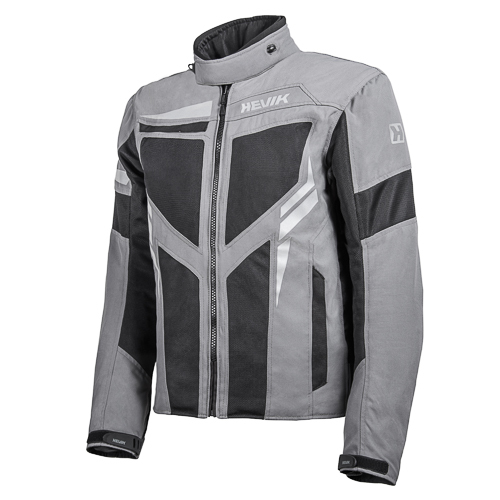 Traditionally, summer is the most difficult time of year for motorcycle clothing as it needs to provide safety whilst at the same time, protecting against heat and humidity. 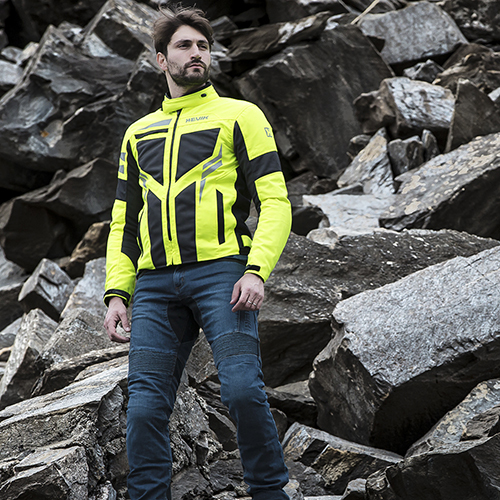 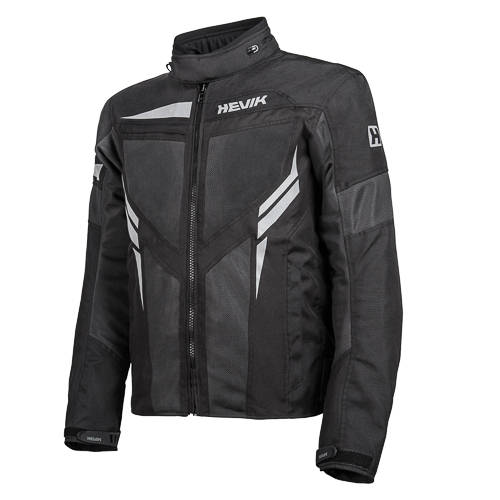 The IKARO jacket, specifically designed for the “adventure” market, is a worthy ally enabling riders to face all the difficulties relating to rider during the summer months. 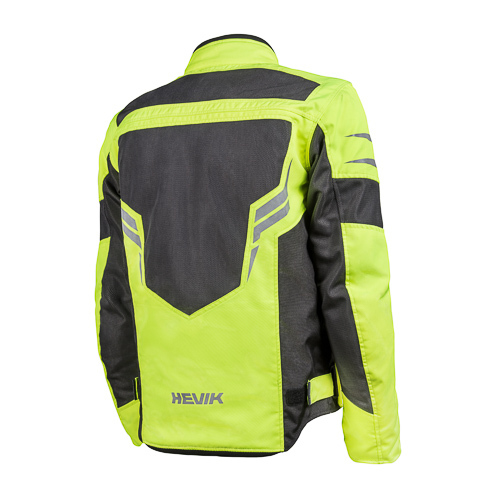 The polyester fabric used in its construction is ideal for lightness and protection from the air. 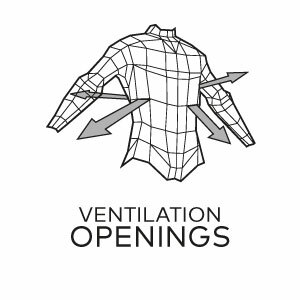 Net areas, strategically positioned on the chest, back and inner sleeves guarantee accurate ventilation. 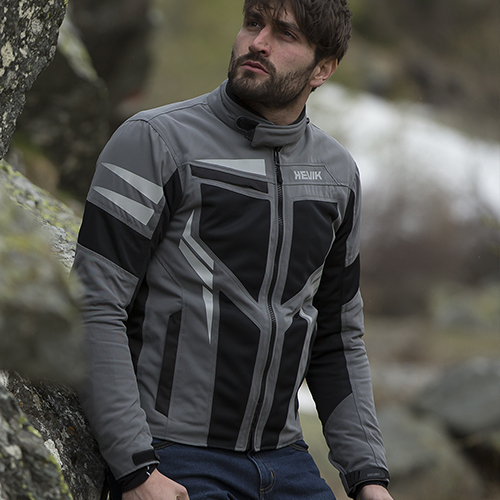 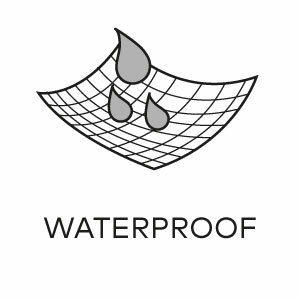 IKARO, inspired by the mythological character who challenged both the sun and the wind, has no fear of water, thanks to the waterproof, breathable membrane that can also be worn over the jacket ensuring an effective waterproof seal. 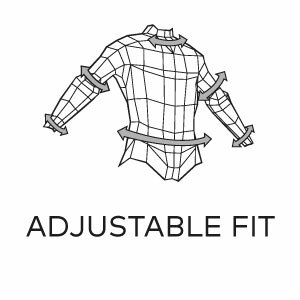 The fit can be fully customized, thanks to adjustment at the wrists with hook and loop fastening and removable straps on the sides. 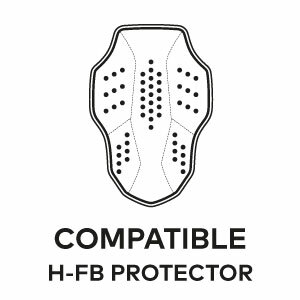 It is also equipped with approved viscoelastic protection at the shoulders and elbows and is predisposed for the use of the HFB back protector. 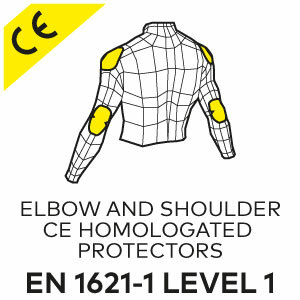 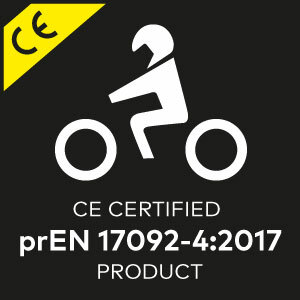 The garment is approved according to the harmonized standard PR EN 17092. 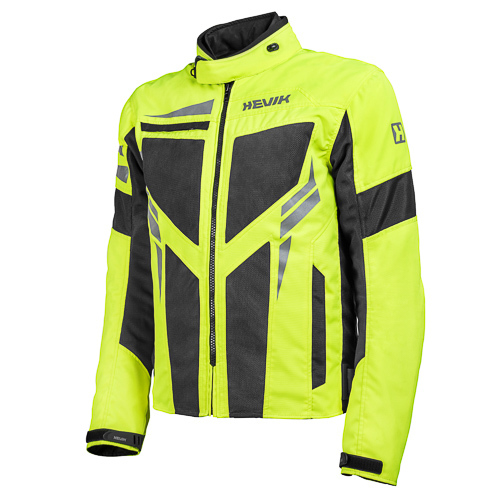 Available in three different colour options: classic Black, Grey and Fluorescent Yellow for those who have a fondness for high visibility outerwear.